Q.: People outside of the diplomatic community often believe that being an ambassador’s wife and living the diplomatic lifestyle is very luxurious and exciting. What would you say to them? A: Seen from the outside, the life of a diplomat – including that of Ambassadors– quite often is seen as exciting and luxurious. As a diplomat myself, with over 24 years’ experience in the field, I can say that a diplomat’s life does not lack in excitement or glam. But this is just one part – usually, the one which is captured by the outsider’s eye. Apart from the glamour of receptions and gala ceremonies and apart from the excitement of going from one continent to another, there lies the life we have to leave behind: family, friends — our real life. 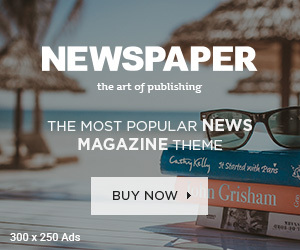 It is like a glossy magazine – people pick it up from a stand, browse it a little and then put it down. But, the editors know how much work is hidden behind the glossy covers. Q.: In addition to being the wife of Dan Iancu, Ambassador of Romania to Azerbaijan, you also work for the Embassy and have had an impressive career. Could you give us a brief overview of your areas of professional expertise? A: I joined the Romanian diplomatic service in 1994, starting out as a junior attaché in the Department for Asia and the Pacific. Briefly after, I was posted to Beijing, China. I had majored in Chinese language in university, so it was a logical choice as first posting. I was with our embassy in Beijing for almost nine years, and I had the chance to work with experienced colleagues who actually taught me much of what I know about doing the job of a diplomat. It is a profession that is not actually taught in schools, you have to “steal it from a master.” During my Beijing years, I learned a lot and did a lot of things which a diplomat is expected to do – from press reviews to overseeing the situation of the Romanian students which were on scholarship in China, to ensuring translation during the visits to Beijing of Romanian Presidents, Prime-Ministers and other officials. During the second part of my stay in Beijing (2000-2005), Dan joined me, and we were married in 2001. In 2005 our post in Beijing ended, and after 14 years of China desk and bilateral work, I decided it was time for a change. In 2007 Dan and I were posted to Brussels, Belgium. Dan was given the position of Deputy Head of Mission at our bilateral Embassy in Belgium, and I was posted to the Romanian Permanent Representation to the European Union. For five years my work was linked to the EU relations with the Middle East and the Gulf. It is such a challenge and such a thrill to actually be able to see the same political issues – this time from a multilateral perspective – and to learn how decisions can be achieved in the format of 28 Member States (not an easy task, I can assure you). In 2012 we returned to Bucharest and I continued to stay focused on the EU files as Head of Common Foreign and Security Policy of the EU (CFSP) – a post which in EU Member States is called European Correspondent. My CFSP team and I were in charge of the preparation of the monthly meetings of the foreign ministers and the weekly CFSP discussions in Brussels; in general, we had to be ready at any moment to give the Minister’s Cabinet the required input on the state-of-play of anything related to EU’s foreign affairs files. Q.: What do you currently do for the Embassy of Romania in Azerbaijan? A: I was very thrilled when at the beginning of last year Dan told me he was offered the post of Ambassador to Azerbaijan. 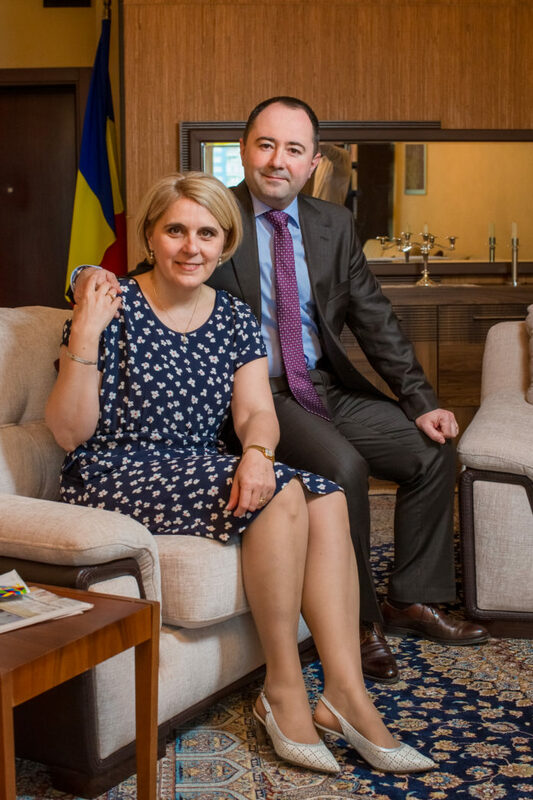 And I have to say we are lucky in the Romanian diplomatic service that couples of diplomats are allowed to work at the same Embassy. Although my daily agenda is quite full, as I try to keep both my “hats” on honorably, I consider myself lucky to be able to continue my career, and I am happy that this post has given me the opportunity to return to the basics: working in the bilateral field. At our Embassy in Baku, my portfolio includes EU-related issues, but also relations between Romania and Azerbaijan in fields such as education, culture, employment, women and children – mostly what we call P2P (people-to-people) relations. Also, I am acting as the press & PR counselor in our mission. Q.: What is your greatest day to day challenge working and/or living within the context of Azerbaijan? A: It is a bit difficult for me to say, you know Dan and I arrived a little over six months ago, so we are still in the process of adapting to and discovering our new life milieu here in Baku. But, I would say that my greatest day-to-day challenge is the traffic. I have been a licensed driver myself for over 20 years, but I confess that so far I haven’t dared to take the wheel in Baku. I am very grateful for the city’s numerous taxi drivers, so friendly and helpful and also so skilled in finding their way through the heavy traffic. Q.: At what stage in your career did you meet your husband? How have you supported each other in your careers and within your family? A.: I met Dan after I had returned home from my first posting to Beijing in 1999. We consider ourselves very lucky that we are both in the same line of work because – as I said before – the diplomatic career quite often requires more sacrifices than it brings benefits – on the personal level, I mean. In our case, neither Dan nor I have had to leave behind or put on hold our career to follow the other. On the contrary, we have been able to consult one another during the process of doing our respective jobs, both when have been posted abroad and when we have worked in the headquarters in Bucharest. Q.: This question has two parts. The world has made large advances in gender equality in the past few decades; however, certain sectors including the world’s diplomatic community at large, remain largely dominated by men. As in many sectors, gender inequality is most stark at the top of the diplomatic profession, in ambassadorial positions. 1) As a woman working for a diplomatic mission and as a diplomatic spouse, what do you think women bring to diplomacy? A: A touch of colour, a fresh perspective on the day-to-day routine, and a sense for detail. 2) In your opinion, what can be done to close this gap in the diplomatic profession? A: Well, in the case of the Romanian diplomatic service, the last 15 years have contributed a lot to reversing the ratio. I recently saw statistic which showed that the man-to-woman ratio was even in the Romanian Ministry of Foreign Affairs. Q.: If you could go back in time and give your younger self any advice, what would advice would you give? A: Take more time for yourself. Live a little more outside your job. Q.: What do you most admire about your husband? What does he most admire about you? A: Dan is very calm and rational, very modest. Professionally, I have learned a lot from him – and still do. He is more patient than me; he always takes the time to think things over before acting. I am more impulsive and want to get things done ASAP so that I can concentrate on the next task. As for the things he most admires about me, you would have to ask him that (smiles) – and please let me know about it, too! Q.: Was it easy making friends and meeting people here in Azerbaijan? Do you mainly socialize with other expats? A: Since we arrived in Baku last September, we have made a lot of friends. I find that the Azerbaijani people are indeed very friendly, always ready to help you with advice or other things, even when they do not speak English and we don’t speak Azeri. Always with a smile on their face, the people of Azerbaijan really make us feel so welcome here. The expat community in Baku is also great. We really consider ourselves very lucky to have been posted here. Q.: What are the best things to do in Azerbaijan? What recommendations do you have for future expats? A: As I said, Dan and I still feel a bit like newcomers; we haven’t really had time to travel a lot or go out much – I mean, go out by ourselves and discover the city (Baku) and the country. I would say that everything we visited or tasted so far in Azerbaijan has made a very good impression on us – from food (absolutely delicious!) to shopping in Baku, from strolls on the Riviera of the Caspian Sea to trips on the mountain slopes of Qabala and Sheki, and from the vibrant cultural life to visiting the impressive historical sites. Q.: And finally, our signature question: It’s said that behind every successful man there is a woman. How does this manifest itself in your family? A: I love that saying; I think there is a great deal of truth in it. In our case, we could probably say that it is more a partnership – partners in life as well as partners in work. I like to think that I am able to support Dan’s mission through my work at the office, as well as through my activity as an ambassador’s spouse. This is the first time I find myself in the role of the spouse of an ambassador, and as such, I am so lucky and blessed to be part of a wonderful group from whom I have so much to learn – the Head of Missions’ Spouses in Baku.